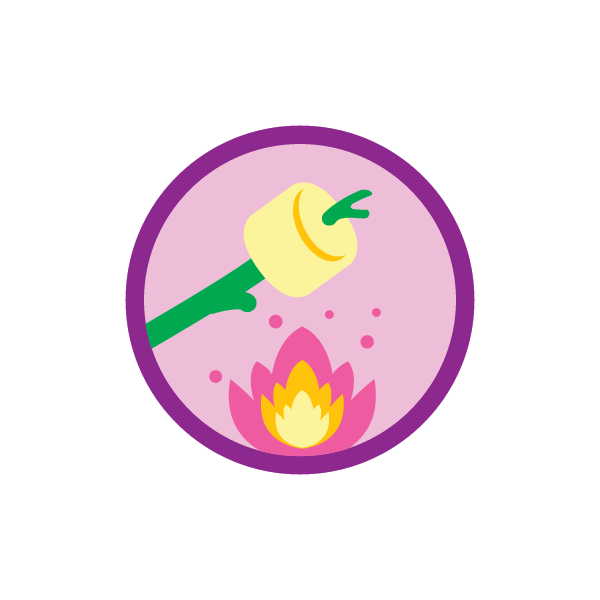 Last month we introduced a whopping 23 new badges, and we’re proud to say that seven are focused on building girls’ outdoor skills and know-how. 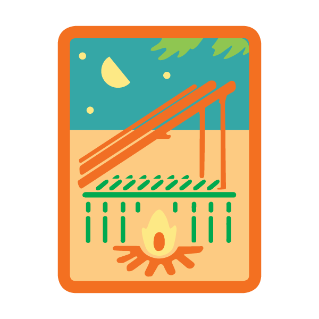 For each Girl Scout level, the Outdoor Journey is anchored by the newest Girls’ Choice badge: Troop Camping. Since 2015, Girl Scouts has invited girls to voice their opinion and vote for a new badge—and every year when the votes have been tallied, they’ve selected an outdoor theme! 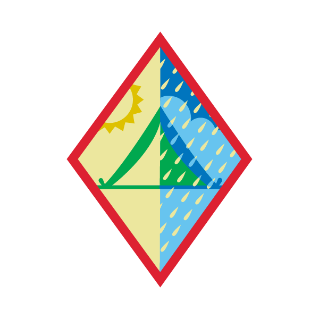 This year’s Troop Camping badge follows Art in the Outdoors (2016) and Outdoor Explorer (2015), proving that today’s girls want to challenge themselves, learn more about the natural world, and continue the Girl Scout tradition of having exciting outdoor experiences. The outdoor badges and experiences are progressive, which will allow girls and troops to learn new skills, put the skills to use, and build on their knowledge year after year. From their first steps on a woodland path as Daisies to going survival camping as Ambassadors, girls will take the lead by planning their trips, practicing survival skills, and pushing themselves as they have unforgettable adventures. 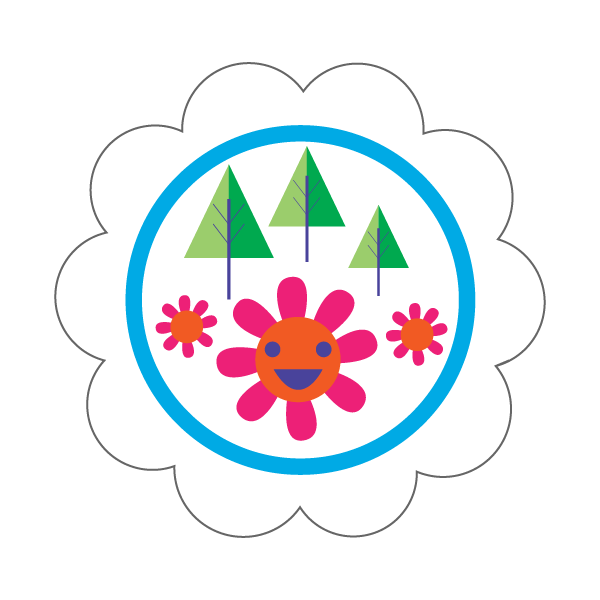 Outdoor Art Maker: This first-ever badge for Daisies expands the Art in the Outdoors badge category to every grade level. Girls explore color and sound, challenging them to observe nature like an artist and preparing them to create their own outdoor art! 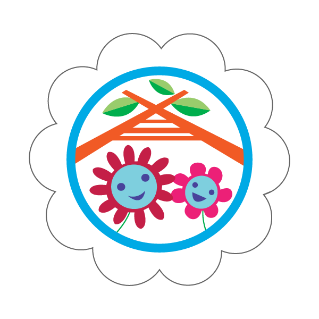 Troop Camping—Buddy Camper: Daisies start their camping journey by researching and writing a camping plan. By the time they’re heading home, they’ve learned how to prepare a simple meal, tie a square knot, stay safe outside, and protect nature—all while becoming comfortable hiking and camping! Troop Camping—Cabin Camper: Brownies work together to research and write a plan in preparation for their troop camping trip. Once they head out, they learn all about camping gear and cook a simple meal outside. Girls walk away with foundational camping skills like following the Leave No Trace philosophy, building a fire safely, and tying a clove hitch knot. Troop Camping—Eco Camper: Juniors choose their trip and write a camping plan that includes what gear to bring, a budget, and how to prepare for campsite weather and terrain. Before setting out, they learn the seven Leave No Trace principles that they will practice throughout their outdoor adventure. Girls have the chance to make a meal using a solar box cooker, select the perfect campsite, and take a conservation hike—all while learning to protect nature. 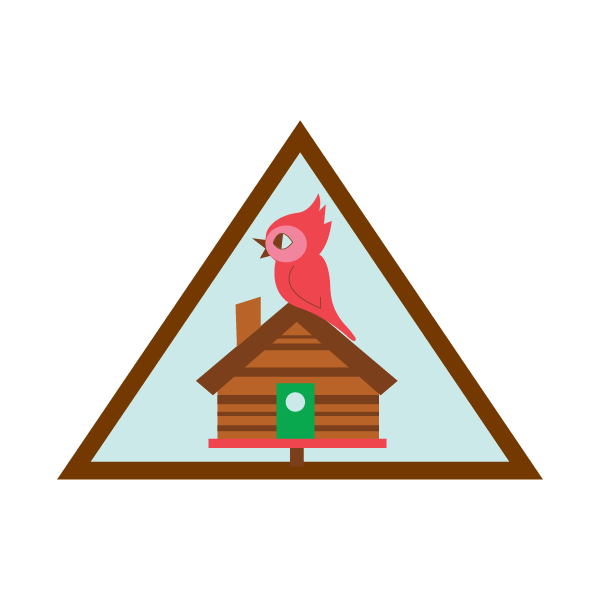 Troop Camping—Primitive Camping: Tackling activities such as backpacking, canoeing, or kayaking without the comforts of home is the goal for Cadettes while they earn this badge. Their trip will incorporate the basic skills they’ve already learned, like selecting gear, budgeting, and planning for weather and terrain (all while incorporating the Leave No Trace principles in everything they do). While camping, girls have the chance to prepare a dish from a faraway land, learn primitive camping skills like using a hatchet and building a shelter, become acquainted with water-purification basics, and tie a monkey fist knot. Troop Camping—Adventure Camping: Mountain biking and kayaking are options for Seniors who are ready to go adventure camping. They’ll get ready by packing the appropriate gear, creating a budget, and monitoring the site’s weather and terrain. Every girl will learn wilderness first aid and physically prepare for an adventure trip. 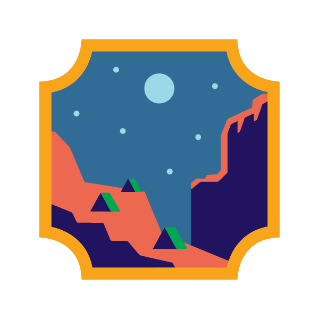 At the campsite, they’ll practice using a topographical map and compass and study meteorology to predict weather patterns and potential hazards. To preserve their memories and document the adventure, girls are encouraged to journal and take pictures. Troop Camping—Survival Camper: The survival camping trip is the perfect way for Ambassadors to prove their grit and learn to safely survive any emergency situation. Girls use their experience and knowledge to prepare a fully developed trip plan. At the campsite, they will start a fire with basic tools and find their way using landmarks and the sun. Girls will also be able to use their creativity to document their time as survival campers, whether through journaling, drawing, or photography. During every part of their experience, they’ll draw on the skills they have developed over the years to have a rich, rewarding outdoor adventure. 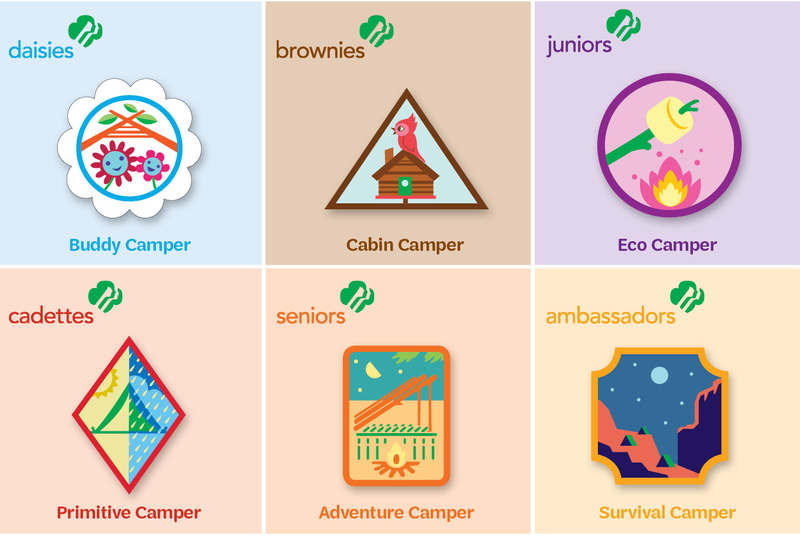 For more information about the new badges, visit www.girlscouts.org/ourprogram or access the Volunteer Toolkit. The Volunteer Toolkit helps parents and volunteers easily plan meetings and activities; keep track of important information; and, ultimately, make it easier to support amazing experiences for girls! Previous Post Gather ’round the Campfire with These Camp Songs!